Bring the sugar and water to the boil in a pan, boil until the sugar has melted, leave to cool. Pour the gin, lemon juice and sugar syrup into a shaker, add the ice cubes and shake well. 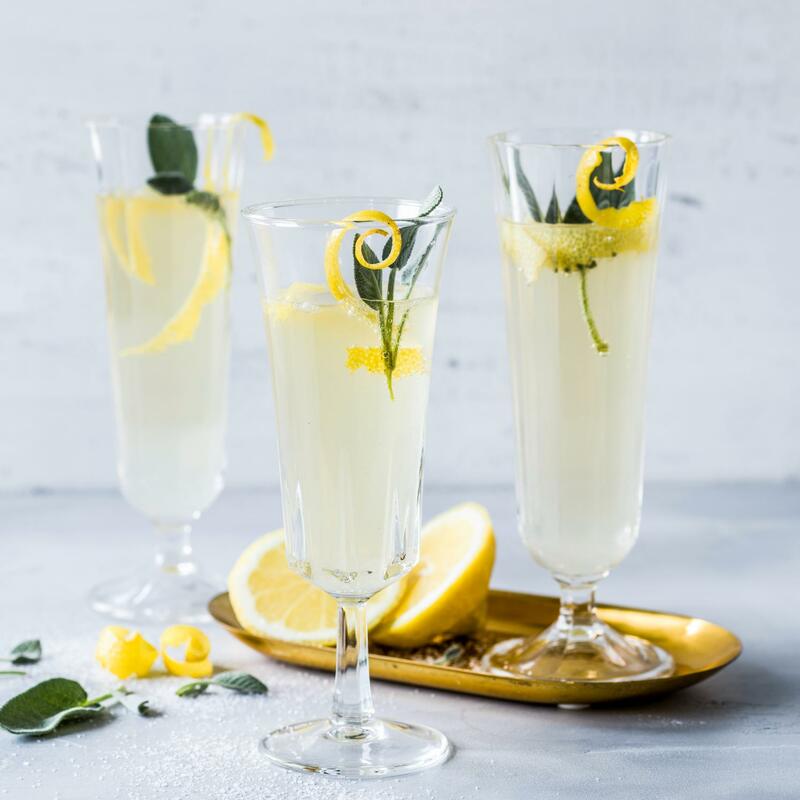 Strain into the prepared flutes, top up with the champagne, garnish with the lemon zest. The syrup can also be made in larger quantities and stored. While still boiling hot, ladle the syrup into a clean, warm bottle and fill to just below the rim, seal immediately.